BLACK, WILLIAM, Wesleyan Methodist minister; b. 10 Nov. 1760 in Huddersfield, England, the second of five children of William Black and Elizabeth Stocks; m. first 17 Feb. 1784 Mary Gay in Cumberland County, N.S., and they had five children; m. secondly 20 July 1828 Martha Calkin, a widow, in Liverpool, N.S. ; three of his children by his first wife, Martin Gay*, William Anderson, and Samuel, became leading Halifax merchants; a daughter, Mary, also by his first wife, married the merchant and politician John Alexander Barry*; d. 8 Sept. 1834 in Halifax. What William Black would have described as the earthly portion of his life began at Huddersfield, Yorkshire, in the family of William Black, a Scottish draper who had moved from Paisley some years earlier. As a boy he lived with his uncle at Otley, near Leeds: “Here I went to school; but was inattentive to my learning, and assiduous in wickedness; particularly fighting, quarrelling, lying, stealing, and disobedience to my uncle.” Nevertheless, he acquired a good primary education which would serve him well in later years. In 1775 his family joined the stream of emigrants from Yorkshire who settled in the Chignecto Isthmus of Nova Scotia in the 1770s. William Black Sr acquired a farm near Amherst; the young William’s formative years were spent helping his parents in their arduous tasks. Black was evidently a sensitive child and from an early age he was tortured by the religious outlook of his parents, who like many others of their generation cherished the fear of damnation and the hope of the new birth. He frequently said to himself: “O that I were a toad, a serpent, or anything but what I am!” His mother urged “the necessity of the new birth,” but he continued on his sinful course. In Nova Scotia, at first he “grew in wickedness . . . turning the grace of God into lasciviousness; spending whole nights together” playing cards and dancing. Fortuitously, however, Black’s neighbours provided the setting in which he resolved the tension in his own personality between the demands of the spiritual and the pressure of the secular worlds. In common with many who experienced conversion in his own generation and later, Black was not content simply to enjoy his own spiritual well-being; he “longed vehemently that all should know the sweetness and preciousness of Christ.” He had “a feeling sense of their unhappy condition, as strangers to the grace of God, and could scarcely refrain from weeping over them.” But rather than weep for his fellow sinners, Black began “to pray and exhort at almost every meeting” and to accept invitations to hold services in his neighbourhood. He gave his first sermon in the spring of 1781 during a visit to the Petitcodiac settlements (N.B.). 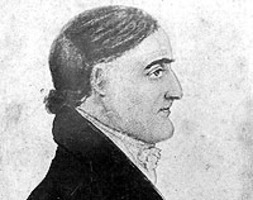 The earliest specific date in his journal is 13 Nov. 1781, when, having come of age, he was freed from obligations to his family and “set off again, to visit the poor, hardened people of Petitcodiac river.” Tacitly, Black had decided to become an evangelical preacher; he never altered his course until the infirmities of old age brought his search for lost souls to an end. From the outset, apparently, Black was determined to be not simply an itinerant evangelist but a Methodist preacher. At this stage he had had no direct contact with Wesley or any of his colleagues. His knowledge of theology and particularly of Wesley’s teaching was limited, and his understanding of the polity and discipline of the Methodist connection was derived from the older lay Methodists in his community. Yet he appears to have understood that in Wesley’s preaching and practice an insistence on the new birth through justification by faith was combined with an emphasis on disciplined Christian living, the goal of which was Christian perfection or holiness. Similarly, he was aware that the essential features of the system which Wesley had devised for propagating his beliefs and training his converts were the circuits, staffed by an itinerant ministry, and the societies and the classes led by lay members. As he travelled about Nova Scotia, Black organized societies on the Methodist pattern. Nevertheless, he was very conscious of his intellectual inadequacy and of his lack of familiarity with Methodism. Hence, late in 1782 he wrote to Wesley requesting to be admitted to Kingswood School, which Wesley had established in England, and asking him to send missionaries to Nova Scotia. Wesley promised that he would try to secure volunteers to help Black and to make room for him in the school. As it turned out, Black abandoned his plan to enter Kingswood. Despite his awareness of his own deficiencies, Black with singular courage adopted the whole of Nova Scotia as his circuit. He knew he was entering on a difficult path, but with characteristic evangelical optimism probably had not assessed the full complexity of the challenge he had accepted. In 1781 Nova Scotia had some 20,000 inhabitants living in a number of largely isolated communities. Communications by land were rudimentary; travel by ship on the treacherous seas and the tide-swept Bay of Fundy was the principal link between the settlements. Sixty per cent of the inhabitants were New Englanders, the remainder being a heterogeneous assortment of Scots, Irish, the Yorkshire settlers, Germans, and others. 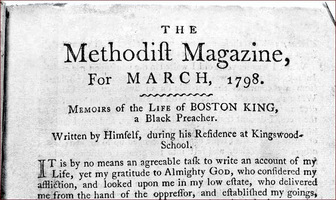 Black probably assumed that many shared the characteristics of residents of Halifax, which he found inhabited by “a stupid set of people” among whom Satan had “many faithful and steady servants.” Likewise Black doubtless agreed with Wesley’s conviction that the Methodist message contained the essence of Christianity and that the innate wickedness of individuals was the only real obstacle to the acceptance of the word Wesley and he proclaimed. In reality, however, the nature of the religious climate of Nova Scotia and the willingness of various groups to heed Black’s words were influenced strongly by the diverse social, cultural, and religious traditions in the colony. The Scots and Scots-Irish were laying already the foundations of a distinct Presbyterian tradition in Nova Scotia in which there would be little affinity with Methodist doctrine and polity. Official Halifax was identified primarily with the Church of England and the values of the secular establishment in British society, and was unlikely to take seriously a self-appointed and unqualified enthusiast. Apart from his fellow Yorkshiremen, Black could hope to appeal effectively only to the New England settlers, who were for the moment the majority, but whose response to his ministrations was likely to be distinctly ambivalent. The former New Englanders who had established communities in the Annapolis valley and along the South Shore brought with them the New England religious tradition, whose principal features were Calvinist theology, a learned ministry, and a congregational polity. The Great Awakening earlier in the century had profoundly shaken the New England churches and had made them more receptive than in the past to evangelical preaching. When Black began his mission, the Yankee settlements in Nova Scotia were caught up in a powerful revival led by Henry Alline*, a movement which was nurtured by his own charismatic appeal, the unsettling effect of the War of American Independence on Nova Scotia, and the memory of the Awakening. Twelve years older than Black, Alline was at the height of his influence in 1781, and within three years of his death. He, like Black, had had a powerful conversion experience, a “New Birth,” which he believed should be the “evangelical norm.” Thus he had entered upon a whirlwind itinerancy through the New England settlements which stirred immense enthusiasm and undermined the already weak Congregational churches. Initially, Black welcomed Alline as one who preached the necessity of the new birth and rejected the Calvinist doctrines of predestination and election. However, Alline was a mystic who, as Baptist minister John Davis* later wrote, was “converted in a rapture; and everafter he sought to live in a rapture; and judged of his religious condition by his enjoyments and raptures.” Some, unfortunately, misunderstood Alline’s teaching that newborn souls are inseparable from God and that there is “a final Perseverance of the Saints.” For him, this conviction implied a new form of holy living, akin to the Wesleyan doctrine of holiness, but for others it led to antinomianism. According to Black, some of Alline’s followers “taught publicly that no believer could make shipwreck of his faith; that his soul never sinned, though he should lie or get drunk . . . it was his body only.” Many “sucked in the poison, as if it had been the marrow of the Gospel,” and sought to administer it to others. In effect, Alline’s powerful preaching created an emotional climate among the Nova Scotia Yankees which was receptive to Black’s appeal; yet although it had weakened it had not destroyed the influence of the Calvinist tradition. To Black, moreover, it appeared to be a source of division and controversy which could and did lead to the disruption of infant Methodist societies. Wherever the antinomian note was sounded, it constituted a fundamental challenge to the Methodist doctrine of holiness. Clearly, Black and his followers could hope to make significant inroads among the New Englanders only by charismatic preaching and by securing an adequate supply of missionaries. Black’s concern about his own qualifications and the danger of New Light competition was reflected in his initial approach to Wesley in 1782. Wesley replied: “The Antinomian you mention [Alline] ought to be guarded against with all possible diligence; otherwise, he will do more harm in one year than he can do good in twenty . . . of Calvinism, mysticism and Antinomianism, have a care; for these are the bane of true religion.” But he was unable to send missionaries who could help to close the “flood-gates of iniquity” opened by Alline’s followers. Black’s anxiety about the future of the Methodist cause in the face of the New Light threat was intensified in 1783 by an equally disturbing development – the loyalist migration to Nova Scotia. Black set sail for Shelburne on 5 June 1783 to meet the loyalists who were arriving there. “Our hearts were made glad by the sight of some of our friends from New York,” he said, but inwardly he must have realized that the numbers of the new settlers were so great as to alter radically the magnitude of his mission. Some 20,000 loyalists came to Nova Scotia, mostly from the middle and southern colonies. Their coming changed the ethnic and cultural profile of the region and led to the establishment of the new colony of New Brunswick. Although the loyalists were by no means submissive to authority, they reinforced the conservative elements in colonial society. The new loyalist-dominated oligarchies which emerged in Nova Scotia and New Brunswick strengthened the position of the Church of England and evinced a marked distaste for radical religious or political movements. While Black was contending with the obstacles to his mission, Wesley had decided to initiate the establishment of a new and separate Methodist church in the United States. To that end he had set apart Thomas Coke as general superintendent of the American societies and had dispatched him to the United States to implement his design. Black met Coke and Francis Asbury, the leading American preacher, in Philadelphia and was invited to attend the conference which began on 24 Dec. 1784 in Baltimore, Md. This meeting became the first general conference of the Methodist Episcopal Church, of which Coke and Asbury were elected general superintendents or bishops. The new church already had 15,000 members and 81 preachers, and would soon become recognized as one of the most powerful evangelical denominations in the new republic. Black’s plea for help, which was strongly supported by Coke, resulted in the appointment of two missionaries to Nova Scotia – Freeborn Garrettson and James Oliver Cromwell. This action marked the beginning of a relationship between the Methodists in the Maritime provinces and the American Methodists which lasted until 1799. Throughout this period the stations of the Maritime ministers were generally listed in the minutes of the conferences in the United States, but Nova Scotia was never accepted formally as a district of the Methodist Episcopal Church. The real link between the two groups was Coke, who acted in effect as superintendent of all Methodist missions overseas and consequently was unable to devote his full attention to the needs of any particular region. For its part, the church in the United States was faced with a growing demand for preachers to meet its own requirements and would have difficulty in securing volunteers to serve in what many considered to be an alien environment. In the euphoric atmosphere of the Christmas conference, however, this development was not foreseen. Black must have been overjoyed to participate in the momentous gathering and to have an assurance that his struggling mission could count on the assistance of Coke and Asbury. 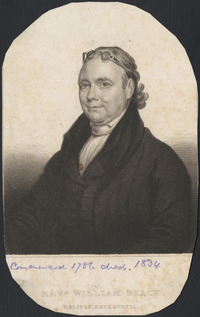 Curiously, he did not hasten home with the good news; he preached in the United States until May and did not meet with Garrettson until July 1785. In the next decade Black had no colleague with the stature of Garrettson and the number of preachers at his disposal fluctuated from year to year. The New York Conference of 1791 sent six relatively inexperienced volunteers to Nova Scotia, but only eight ministers attended the Nova Scotia conference of 1794. Black was designated by Coke in 1793 as superintendent of the missions in the West Indies, from which post he was rescued by the protests of his brethren. Not surprisingly, in 1792 Black had tentatively proposed formal annexation of the societies under his care to the Methodist Episcopal Church. He informed Asbury that “it is now a subject of consideration amongst us whether we ought not to put ourselves under the direction of the American bishops.” He added, however: “It is objected that such an union would excite the jealousies of our Civil Governors: but in my opinion, if the preachers who might come from the United States should be prudent men, and let politics alone, there would be nothing to fear from that quarter.” Nothing came of this initiative; the conference of 1795 demonstrated its independent spirit by publishing its minutes in which the basic structure and rules of the Methodist connection in Nova Scotia and New Brunswick were laid down. Nevertheless, Black must have felt in 1799 that he and his brethren had waged an inconclusive battle to establish Methodism firmly in the eastern colonies. At this point there were only six ministers in Nova Scotia and New Brunswick, among them Duncan M’Coll and James Man*. The Saint John valley was largely neglected and its inhabitants were “deeply initiated into the mysteries of Antinomianism.” Prince Edward Island had seen no Methodist minister since Black’s brief visit in 1794. There were in the entire region about 850 Methodists, a meagre harvest, particularly in the light of the powerful impetus which Garrettson had given to the spirit of revival and Black’s faithful itinerancy. Clearly, if Methodism was to survive and grow drastic measures had to be taken. By 1799 it was evident that, although Coke was sympathetic to placing the societies in Nova Scotia under the jurisdiction of the Methodist Episcopal Church, he was unable or unwilling to persuade Asbury and his associates to accept this responsibility. Asbury necessarily gave priority to the immense demands of the burgeoning church of which he was the effective head. Black, for his part, must surely have recognized that his societies could not count upon the American connection for preachers. Unlike Asbury, he had failed to recruit a native ministry. Yearning as he did to become a circuit minister in England, he turned naturally to the British Wesleyan Conference for help. 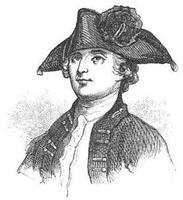 He sailed for England in the autumn of 1799. Black attended the session of the British conference in 1800 and, with the support of Coke, secured the appointment of Joshua Marsden*, William Bennett*, and two other preachers to assist him in Nova Scotia. The arrival of Black and these missionaries in Halifax on 4 Oct. 1800 opened a new phase in his career and in the history of Methodism in the eastern colonies. Although the ministers would continue to meet for a time as a conference and to describe Black as president of that body, in fact he was chairman of the Nova Scotia District (which included all the Maritime colonies) of the British conference. After 1804 this district would come under the jurisdiction of the various missionary committees of the home conference which sought to impose order and uniformity on Coke’s diverse missionary enterprises, particularly after his death in 1814. But, until Black’s retirement in 1812, the authority of the conference was exercised very lightly over the Nova Scotia District. In fact, although men and money were provided, the parent conference was never able to supply sufficient assistance to meet its needs fully. Black continued ostensibly to live and work as he had before, but for several years his course was marked by uncertainty. Although he was only 40, 20 years of incessant travelling and preaching in the primitive conditions of the period had aged him prematurely. His visit to England had strengthened his nostalgic determination to retire to that country. This desire was reinforced by a dispute in 1802 on the Halifax circuit, where Thomas Daniel Cowdell, a local lay preacher, and others accused Black of a long list of misdemeanours – in effect he had been there too long for some members of the society. In this crisis Coke admonished him: “What will you do in a circuit in England? They don’t want you. Give up your great sphere of action, in which God has by a series of miracles placed you, if you dare; mind you will repent of it but once, if you retain the life of God.” The leaders of the Halifax circuit, convinced that his departure would “ultimately give a fatal stab to the Itinerancy” in the district and the conference, pleaded with him to remain, but in 1802–3 he made plans to preach for a year in Boston and then leave for England, a project which did not come to fruition. Black’s hesitations were, however, not yet at an end. Much against his better judgement, he was persuaded by Coke in 1804 to prepare for a mission in Bermuda, but this plan was frustrated by local hostility. Two years later the missionary committee and Coke again proposed that Black become general superintendent of the West Indies missions. Black insisted that he was not qualified for a supervisory role in such a large and scattered mission. His fellow preachers successfully petitioned the British conference to leave him in Nova Scotia and include Newfoundland in his superintendency. From 1806 to 1812 Black was free to concentrate on his duties in the Nova Scotia District. He was normally stationed on the Halifax circuit; he travelled regularly throughout the region preaching and counselling his colleagues; he presided at the district meetings; and he reported regularly on the condition of the societies. His detailed account of the state of the work in 1804 illustrates his knowledge of the several circuits and his concern for their spiritual welfare. The constant theme of this as of other reports was the shortage of preachers which had left many potential converts without attention and resulted in the loss of others to worldliness or the “do nothing scheme or Antinomian delusion.” From time to time he was encouraged by revivals, but the fact that in 1812 only seven of eleven ministers attended the Nova Scotia conference and only 1,153 members were on the rolls must have been deeply discouraging for him. Throughout the remainder of his life, Black helped his brethren as he was able, becoming in the process a kind of senior statesman in British North American Methodism. In 1816, for example, Bennett and Black were caught up in the first phase of the dispute between the British conference and the Methodist Episcopal Church over control of the Methodist missions in Upper and Lower Canada. They attended the meeting of the General Conference in Baltimore and endeavoured to persuade their American colleagues to put the societies in the Canadas under the jurisdiction of the British conference. They pointed out that the annexation of the Canadas to the Nova Scotia District would facilitate the interchange of missionaries and that the relationship between the Methodist Episcopal Church and the societies in the Canadas was and would continue to be a source of political difficulty for the latter. 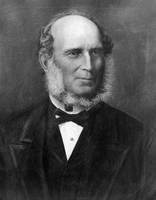 The General Conference decided, however, not to give up its role in Upper and Lower Canada. Black would have no further involvement in this contentious issue. The part he had played was indicative of his affinity for Wesleyan Methodism and his lack of understanding of the differences between the climate of opinion in the Canadas and in the eastern colonies. It also possibly underlined his failure to appreciate the importance of developing a native Methodist ministry in all parts of British North America. By 1819 Black’s health was failing rapidly. For relief he journeyed again to the United States, and was greatly cheered by his visits to the flourishing Methodist community in the eastern states. He preached to Congress on the text “What is a man profited, if he gain the whole world and lose his own soul?” He found the idea of being laid aside “as a broken and useless vessel . . . not a little painful.” He was unable, however, to attend the district meeting in 1823 because of his “growing infirmities.” In 1826 he was present at the historic district meeting at which, on the orders of the missionary committee, the Nova Scotia District was divided into the districts of Nova Scotia and New Brunswick. After 1829 Black no longer preached or led classes. He died, probably of heart disease, in Halifax on 8 Sept. 1834, in the midst of a cholera epidemic. The death of the man who was known affectionately as “Bishop” Black to Methodists and non-Methodists alike throughout Nova Scotia was an occasion of profound sadness in the Methodist community. The Reverend Richard Knight*, who had attended Black in his last days, delivered the memorial sermon; in the course of it “the emotions of his heart became irrepressible, his feelings approached to an overpowering agitation . . . the mournful sympathy was universal.” Grief so deep, even in an age more given to tears than ours, was an eloquent testimony to the honour and esteem in which Black was held as “the Father of Methodism” in Nova Scotia and New Brunswick. He had fought the good fight. What kind of man was he and what was the impact of his words and works on his generation? He was of average height, and in old age somewhat corpulent. According to Samuel Leonard Shannon*, Black “always wore the well-known clerical hat; a black dress coat buttoned over a double-breasted vest, a white neckerchief, black small-clothes and well polished Hessian boots.” He had “a round, rosy face, encircled with thin, white hair, a benevolent smile and a sweet voice.” The amiable countenance bespoke the inner man. Black was a person of deep humility, remarkable fortitude, and great kindliness. Above all he evinced a single-minded devotion to the business of his life, which was “to save souls.” His preaching was both fervent and constructive. As the Reverend Robert L. Lusher* put it, “The benignity of the divine character rather than the ‘terrors of the Lord’ – the pleasures and rewards of piety . . . were the topics on which he seemed most to delight to dwell.” In his gentle way he sought to instill in his colleagues his own positive and humble concern for the rescue of lost souls. In fact, especially as an ecclesiastical administrator, Black had the defects of his qualities. He lacked the holy ruthlessness of Asbury and Wesley which accounted in part for their striking success as evangelists and religious leaders; hence his own achievements were more modest. Indeed one might conclude that, although Black was greatly esteemed by his fellow Methodists, his life and works were of little historic import. After all, in 1827 only 7.6 per cent of the people of Nova Scotia were Methodists; 16 per cent were Baptists, and the Anglicans and Presbyterians greatly outnumbered both denominations. 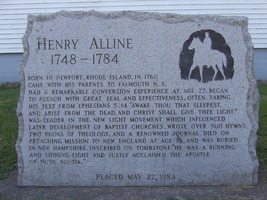 Alline’s disciples, as one historian has claimed, had “beaten the Methodists and all other religious competitors in the Yankee heartland” of Nova Scotia. Ethnic and cultural ties had perhaps been more effective in shaping religious affiliation than evangelical rhetoric of any kind. Nevertheless, Black’s career was perhaps more significant than the statistics indicate. The religious community which Black founded was deeply evangelical, strongly resistant to enthusiasm, and committed to stern adherence to moral discipline as an essential step toward the goal of holiness. Although Black and his brethren were occasionally discriminated against by the local élites and the Church of England, they remained unworldly and demonstrated little concern for the social and political implications of their beliefs. Also, in contrast to the churches in the United States and Upper Canada, which showed great skill in recruiting and training their own leaders, the Nova Scotia Methodists became dependent for their ministers first on the Methodist Episcopal Church and later on the British conference. For the first four decades of the 19th century, the district was dominated by missionaries who had been formed in England, and these missionaries were slow to seek out candidates for ministry who had been born and educated in British North America. They laboured in an atmosphere of dependence, and consciously or unconsciously sought to maintain a close link with the British conference and to foster intimate political and cultural ties between Britain and the emerging colonial societies. In effect, although numerically small in Nova Scotia and New Brunswick, the Methodist community was not only the custodian of a balanced evangelical tradition but also one of the forces of religious and cultural continuity which helped to shape the distinctive empire-oriented sense of identity of pre-confederation Nova Scotia. That this was the case owed much to Black’s initiative in putting the societies under the jurisdiction of the British conference. Such an assessment would have been, however, largely incomprehensible to Black. He would have wished to be remembered affectionately as one who at great peril and at great cost to himself brought a new hope and assurance to thousands of people, many of whom were beginning anew in an alien and inhospitable land. What was true of Alline’s followers was also true of Black’s: their acceptance of his teaching whatever its merits or implications was a seminal fact in their lives and in the growth of their social and cultural traditions. Black’s autobiography, “The life of Mr. William Black, written by himself,” appears in The lives of early Methodist preachers, chiefly written by themselves, ed. Thomas Jackson (4th ed., 6v., London, 1873–78), 5: 242–95. School of Oriental and African Studies Library, Univ. of London, Methodist Missionary Soc. Arch., Wesleyan Methodist Missionary Soc., corr., North America (mfm. at UCC, Central Arch., Toronto). UCC-M, William Black papers; Duncan McColl papers. Methodist Episcopal Church, Minutes of the Methodist conferences, annually held in America; from 1773 to 1813, inclusive (New York, 1813). The New Light letters and spiritual songs, 1778–1793, ed. G. A. Rawlyk (Hantsport, N.S., 1983). “The papers of Daniel Fidler, Methodist missionary in Nova Scotia and New Brunswick, 1792–1798,” ed. G. [S.] French, UCC, Committee on Arch., Bull. (Toronto), 12 (1959): 3–18; 13 (1960): 28–46. Perkins, Diary, 1780–89 (Harvey and Fergusson); 1797–1803 (Fergusson). John Wesley, The letters of the Rev. John Wesley . . . , ed. John Telford (8v., London, 1931; repr. ). Wesleyan Methodist Church, Minutes of the conferences (London), 2 (1799–1807). Novascotian, or Colonial Herald, 10 Sept. 1834. N.S. vital statistics, 1769–1812 (Punch); 1813–22 (Punch); 1823–28 (Holder); 1829–34 (Holder and Hubley). E. A. Betts, Bishop Black and his preachers (2nd ed., Sackville, N.B., 1976). G. G. Findlay and W. W. Holdsworth, History of the Wesleyan Methodist Missionary Society (5v., London, 1921–24), 1. G. [S.] French, Parsons & politics: the rôle of the Wesleyan Methodists in Upper Canada and the Maritimes from 1780 to 1855 (Toronto, 1962). Matthew Richey, A memoir of the late Rev. William Black, Wesleyan minister, Halifax, N.S., including an account of the rise and progress of Methodism in Nova Scotia . . . (Halifax, 1839). T. W. Smith, History of the Methodist Church within the territories embraced in the late conference of Eastern British America . . . (2v., Halifax, 1877–90). Abel Stevens, History of the Methodist Episcopal Church in the United States of America (4v., New York, 1864–67), 2. Howard Trueman, The Chignecto Isthmus and its first settlers (Toronto, 1902; repr. Belleville, Ont., 1975). John Vickers, Thomas Coke, apostle of Methodism (London, 1969). G. S. French, “BLACK, WILLIAM (1760-1834),” in Dictionary of Canadian Biography, vol. 6, University of Toronto/Université Laval, 2003–, accessed April 20, 2019, http://www.biographi.ca/en/bio/black_william_1760_1834_6E.html.